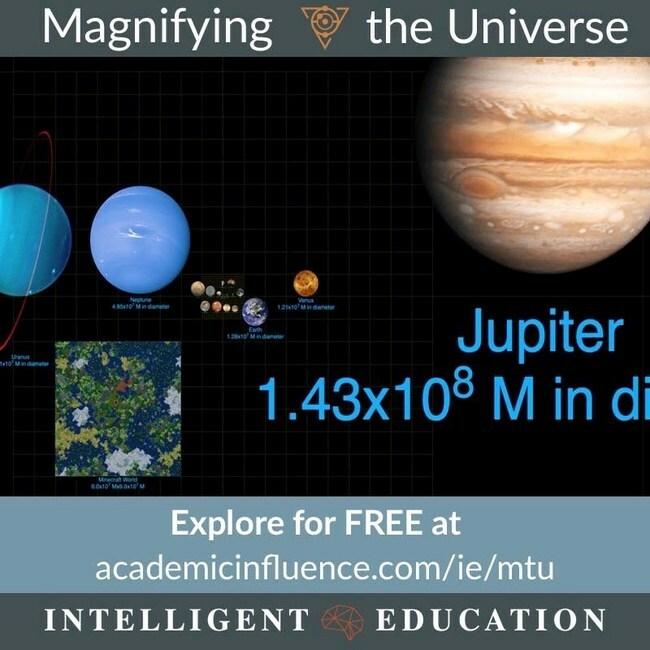 Back in 2012 I helped create a flash version of a dynamic infographic called “Magnifying the Universe” for a website called Numbersleuth.org, which is now defunct (click here for its Web Archive record). It’s a lot more powerful and portable than the earlier version. Besides some additional and updated images, users can click on items to get information about them as well as drag images for better viewing. 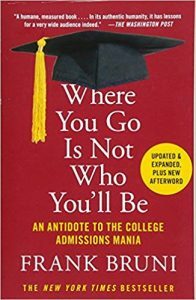 New York Times columnist Frank Bruni authored a book back in 2016 titled Where You Go Is Not Who You’ll Be: An Antidote to the College Admissions Mania. I was alerted to the book today because Amazon tracks my interests, which include rankings of colleges and universities. So, presumably, I’m one of the people Bruni needs to convince, as his self-explanatory title makes clear, that getting into an ultra-elite school is overrated and that other factors can allow you to succeed spectacularly in life even without a degree from such a school. * As far as this goes, I would agree: I personally know people who have succeeded at the highest level of the academy and business who did not go to ultra-elite schools. My youngest child is off to college in the fall. So it was with interest that I watched this brief interview with Julie Lythcott-Haim, previously an admissions officer at Stanford. She’s been hammering on the problem of overparenting for some years now (see her book HOW TO RAISE AN ADULT), and she speaks to this problem in the interview. Is Listening the Same as Reading? I have a special-needs son and often have to watch him outside, as when we go for a walk together or drive around in my pickup (he loves to go for car rides). As a result, I’m often listening to books from Audible on my iPhone when I’m with my son. These books can be quite interesting, so I sometimes discuss them with friends and colleagues. When I’m in the middle of listening to such a book, I often tell the person I’m speaking with that I’m “reading” such-and-such a book. But am I really reading it? Would it be more accurate to say the I’m listening to the book on my iPhone? Accuracy is fine as far as it goes, but I’m no fan of scrupulous accuracy. So I don’t feel any compunction when I tell people I’m reading a book when I’m listening to it being read. That said, the distinction between going through a book by listening to it versus actually running one’s eyes over the text and extracting the information from it that way is interesting and one I’d like to explore in this article briefly. [Read more…] about Is Listening the Same as Reading?